If you’re looking to start injecting some funds into the stocks and shares space, then it is well worth doing this with a UK-based ISA provider. In fact, by investing in stocks and shares via an ISA account, you can effectively avoid paying any tax on the first £20,000 you invest – each and every year. As such, there are now a plethora of stocks and shares ISAs available in the UK, each with their own advantages and disadvantages. If this sounds like something that you want to explore further, then we would suggest reading our comprehensive guide. Within it, we’ll discuss what a stocks and shares ISA actually is, why they are beneficial, what you need to look for when choosing a provider, and finally, which providers are best for your individual needs. Let’s start by exploring what an ISA actually is. 1 What is an ISA? 2 Stocks and Shares ISA: What is the Best Strategy? 3 Lump sum or Regular Amounts? 4 Solo Investing or Managed Fund? 5 What to Consider When Choosing a Stocks and Shares ISA Provider? In its most basic form, an investment savings account, or simply an ISA, is a UK initiative that allows you to earn interest, capital gains and dividends without paying any tax. Every UK citizen has access to an ISA, which permits a limited amount of tax-free income every year. For the 2019/20 tax year – which runs from April 6th to April 5th, you’re allowed to invest upto £20,000 before you are liable for any investment-related tax. On top of stocks and shares, there is a range of other ISAs that will allow you to make tax-efficient savings. This includes a cash ISA, a help-to-buy property ISA, and even an inheritance ISA. Each specific ISA program has its own respective annual limit, however at £20,000 per tax-year, stocks and shares ISAs afford the highest allowance. To give you an idea as to how beneficial an ISA actually is, it is well worth looking at some brief examples. Firstly, by leaving your savings in a traditional bank account, you’ll be liable to 20% tax on any interest you make. Furthemore, if you fall within the remit of the higher tax rate, you’ll need to pay a whopping 40%. It is also worth noting that by leaving your money in a standard savings account, you’ll rarely earn enough interest to out-pace annual inflation levels. On the contrary, by implementing a sensible investment strategy via a stocks and shares ISA, not only will you be accustomed to tax-efficient savings, but you also stand the chance of protecting your wealth from inflation. Once you have used your annual stocks and shares ISA allowance, you’ll then revert back to the standard UK tax rate for dividends and capital gains. Although the tax savings facilitated by ISAs are backed by the UK government, you actually need to go through a private company. 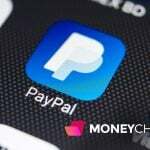 These companies are most commonly in the form of stocks and shares brokers, meaning that you’ll likely need to pay a fee to buy and sell your chosen investments. Finally, in order to open a stocks and shares ISA, you’ll need to be at least 18 years old, have a national insurance number and be a UK resident. So now that you know what a stocks and shares ISA actually is, in the next part of our guide we are going to discuss some strategies that you might want to consider. Stocks and Shares ISA: What is the Best Strategy? When investing your money into a stocks and shares ISA, there are a number of different strategies available to choose from. Firstly, you need to decide how you want to invest your money. Lump sum or Regular Amounts? As you are allowed to invest upto £20,000 into a stocks and shares ISA throughout the 2019/20 tax year, there are no rules surrounding the intervals at which you invest. For example, some people like to spread-out their investment on a monthly basis when they receive their wages. Alternatively, others like to inject a lump sum once a year. Whichever option you go for, you’ll still be accustomed to the same tax savings. However, what you do need to consider is the fees charged by the specific stocks and shares ISA provider. The reason for this is that stocks and shares brokers will charge you a fee when you decide to buy or sell an investment. Although we’ll cover fees in more detail further down, this will either come in the form of a flat-fee, or a percentage fee. The former will be a flat-fee that you are charged every time you buy or sell a stock, regardless of the amount you invest. The latter will charge a percentage fee against the amount you buy or sell. Generally speaking, if you are only investing smaller, regular amounts, then you are better off choosing a broker that offers a percentage-based commission structure. On the other hand, if you are planning to invest a large lump sum into your chosen stock, then a flat-fee would be more conducive. Solo Investing or Managed Fund? Once you have decided how you are going to inject your money into your chosen stocks and shares ISA, you then need to determine how you want to choose your respective investments. Don’t forget, you’re effectively making investments into the stock markets, so there is no guarantee that you will make any money. Just because you are avoiding tax on the first £20,000 that you invest, this doesn’t mean that profits are a sure-thing. As such, it is important that you have a general understanding of how the stock markets work. If you’re relatively new to the stocks and shares space, then it might be best to invest your money into a managed fund. This is where an experienced fund manager will decide which stocks and shares to invest in on your behalf. While on the one hand this will allow you to tap into their investment expertise, you’ll have to a pay a fee for their services. Usually, you’ll need to pay an annual maintenance fee, and in some cases, a percentage of any profits the fund manager makes. The other option available to you is to select which companies you want to invest in yourself. While this is potentially more risky in comparison to using a managed fund, you’ll get to avoid paying additional fees. Finally, you might also want to consider allocating your stocks and shares ISA investments into a tracker fund. This is where you invest in the movement of a particular asset, or group of assets. Popular tracker funds include the FTSE 100, Dow Jones and S&P 500. So now that you know what you need to consider when investing your money into a stocks and shares ISA, in the next section we will briefly discuss some of the things you need to consider when choosing a provider. What to Consider When Choosing a Stocks and Shares ISA Provider? As we noted earlier, although the tax-efficient savings offered by stocks and shares ISAs are backed by the UK government, in order to invest you will need to use a third party provider. These are usually traditional stock brokers that execute trades on your behalf. Furthermore, most UK high street banks also offer stocks and shares ISAs, although these are generally more expensive. While the tax savings you will make remain constant regardless of what provider you choose, there are still a number of factors that you need to lookout for when finding the right provider for your individual needs. One of the first things that you’ll need to consider when choosing a stocks and shares ISA is the fees charged by the resective provider. You won’t pay any fees to utilize your stocks and shares ISA, as this is simply a tax savings account. However, you will need to the pay the provider – also known as a platform, fees for using their service. This will either come in the form of trading fees to buy and sell the stocks, or an annual maintenance fee to use a managed fund. Either way, you’ll want to use a UK stocks and shares provider that offers the most competitive fees for your chosen investment strategy. There might be a time when you decide that you want to use a new stocks and shares ISA provider. Known as a transfer, some providers will charge a fee to get your money out. Make sure that the provider does not charge expensive fees to transfer your funds out, should you decide to use a new broker. In an ideal world, you’ll want to choose a stocks and shares ISA provider that has an extensive range of equities to invest in. This should stock major companies operating on the London Stock Exchange, New York Stock Exchange and NASDAQ. Even if you are a newbie investor, it is crucial that you spend the required time to research the asset that you are looking to invest money into. At a minimum, we would expect your chosen stocks and shares ISA provider to have a good selection of analysis tools that will allow you to make an informed decision on the investment in question. This should also include a comprehensive portal that allows you to analyze the past and current performance of your investments. So now that you know what to lookout for when choosing a provider, we are now going to list some of the best stocks and shares ISA providers in the UK. Here is a rundown of our picks for the top providers. If you’re looking for an industry-leading platform that has one of the best reputations in the UK brokerage arena, then Hargreaves Lansdown should be at the top of your list. The platform has one of the most extensive offerings when it comes to investment choices, which covers traditional stocks and shares, funds, ETFs and indices. Moreover, Hargreaves Lansdown is hands-down the best platform for research and analysis tools, as well as independent investment advice. However, this particular stocks and shares ISA provider is one of the most expensive. Stocks and shares trading starts at £11.95 per trade, although you can get this down to £5.95 if you trade at least 20 stocks in a single month. On top of this, you’ll also need to pay an annual fee of 0.45% for holding investments in the platform’s stocks and shares ISA account. This works out at £90 per year if you decided to invest the full £20,000 ISA allowance, excluding the fees you’ll pay to actually trade. 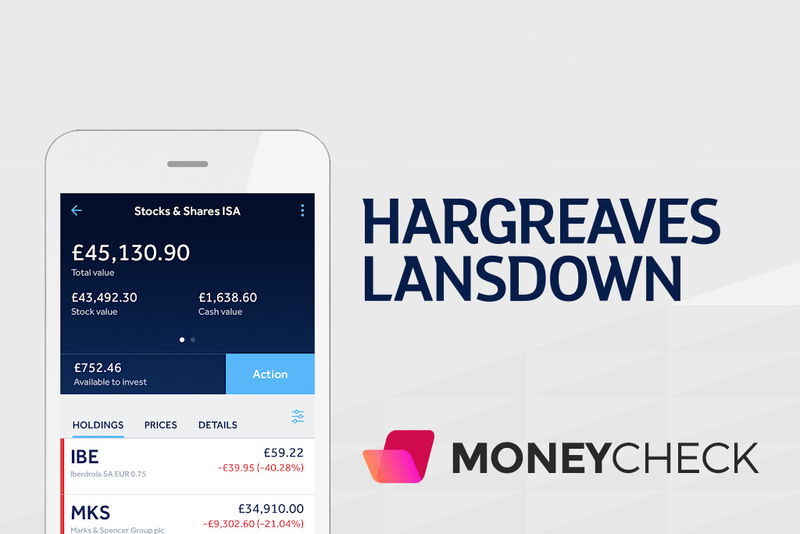 The Hargreaves Lansdown platform also offers a fully-fledged mobile app, which is great if you like to have option of trading on the move. If you’re looking to trade funds on a frequent basis, then we would suggest taking a look at Cavendish. The reason for this is that the platform does not charge a flat fee to buy or sell funds. Instead, you’ll pay an annual platform charge of 0.25% upto the first £200,000. As such, if you used your entire £20,000 ISA allowance with Cavendish, then you would only end up paying £50 per year in fees. This would give you the freedom to buy and sell funds regularly without being penalized. You also won’t be charged anything if you decide to transfer your funds out, nor if you decide to close your account. Alternatively, if you want to buy and sell stocks with Cavendish, you’ll pay £10 per trade. This is quite expensive, especially if you want to trade regularly. Therefore, this particular provider is best suited for using your ISA allowance by investing in funds. If you instead prefer to buy and sell stocks and shares as opposed to funds, then the cheapest option for you will be to use iWeb. The platform is ultra-basic, and offers virtually no research tools or guides. However, if fees are your main priority, then you can buy and stocks for ultra-cheap. In fact, other than the initial £25 you need to pay when opening your account, you’ll pay just £5 every time you buy or sell a stock. Even better, you won’t need to pay an annual maintenance fee to keep your account open, so iWeb is suitable for both short-term and long-term investments. If you also want to use some of your ISA allowance to invest in funds, then iWeb also charge £5 per trade. Take note, while there are no fees charged to close your account, iWeb do charge a transfer out fee of £25 per fund, up to a maximum of £125. If you’re looking for a more comprehensive platform than what the likes of Cavendish and iWeb offer, then it might be worth considering Interactive Investor. On top of having a native mobile app and an extensive research and analysis platform, Interactive Investor hosts more than 3,850 funds to choose from. The platform is slightly more expensive than other stocks and shares ISA providers. Firstly, you’ll pay a platform fee of £22.50 every three months. Although this might sound expensive, this is actually given to you as credit, in which you can use to trade. As such, this also acts as an incentive to inject regular amounts of capital in to your stocks and shares ISA account. In terms of trading fees, you’ll pay £10 every time you buy or sell a stock, however this is reduced to £6 if you trade regularly. In order to get the lower price you need to place an average of at least 10 trades per month across a single quarter. For example, if you place 5 trades in January and February, you’ll need to place 20 trades in March to get the £6 trading fee throughout the following quarter. Finally, there are no fees to pay if you decide to transfer your stocks and shares ISA to another provider, and you won’t be penalized for closing your account. If you are the type of investor that likes to hold on to stocks and shares long-term, then your best option is likely to be Evestor. 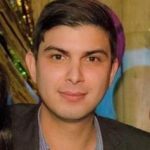 The platform is relatively unknown in the online brokerage space, however their fee structure is well worth considering. The platform charges just 0.35% in annual fees, which is charged on the total amount of investments that you have with the provider. For example, if you decide to invest £15,000 in to your stocks and shares ISA, then you’ll pay just £52.50 annually. It is also important to note that you’ll need to pay an annual transaction fee of 0.04%, however this still makes Evestor a notable option for long-term holdings. If you instead decide to invest in a fund, then you’ll pay a maximum of 0.13% to the fund manager. What we also liked about Evestor is that the platform offers a detailed guide on what you should invest in based on your risk appetite. You simply engage in an online questionnaire, and the platform gives you a range of different investment strategies to consider. You can also receive tailored investment advice over the telephone, however you’ll need to pay a fee for this. For those unaware, Vanguard are one of the most dominant institutions in the investment space. They currently have in excess of 73 individual funds that they personally manage, many of which are industry leading in terms of returns. The great thing about Vanguard is that they also provide a stocks and shares ISA account, meaning you can invest in one of their funds and still make efficient tax savings. In terms of fees, they are also one of the most competitive in the fund dealing market. For example, you’ll only pay an annual fee of 0.15%, up to a maximum of £375. This means that by investing the full £20,000, Vanguard will only charge you £15 per year. This option is of course only suitable if you are looking to invest in a Vanguard fund, as the platform does not allow you to invest in anything else. The minimum deposit that you can make in to your Vanguard stocks and shares ISA is £500, which is much higher than the other providers we have listed. However, you won’t pay any flat fees to trade, transfer your funds out, or close your account. If you’re looking for a stocks and shares ISA provider that can assist you in choosing the right stocks for your desired risk levels, then AJ Bell is a great option. When you first deposit funds, you’ll be given three investment strategies to choose from. You can choose one of the platform’s 88 favorite funds, six passive funds or alternatively, one of their four ‘pre-made’ stock portfolios. Each of the available options will have a detailed risk level attached to it. In terms of fees, you’ll need to pay an annual platform fee of 0.25%, and £1.50 every time you buy or sell a fund. However, if you decide to choose one of the four ‘pre-made’ portfolios, you won’t pay a flat trading fee. You will need to deposit at least £500 in to your stocks and shares ISA if you’re looking to make a one-off lump sum investment. If you want to make regular deposits, this amounts to a minimum of £100 per month. Finally, we should note that AJ Bell will charge you a transfer-out fee of £25 per fund, which isn’t capped. As such, if you are holding a large number of funds in your portfolio and you decide you want to transfer everything across to a new provider, then this could be costly.